At the Ninja Parc, we want to see people of all ages and abilities having fun together. With the rise in the popularity of obstacle events, we wanted to create a place patrons could have fun with no intimidation, no pressure to go outdoors, and the affordability to do this on a regular basis. The Ninja Parc was developed with the notion of making movement entertaining as opposed to it being a chore and something that people have to do to stay healthy and active. Patrons enter just for fun, to learn something, get some exercise, host a party or to race seriously. It’s safe, it’s fun and it’s addictive. Patrons have the option to enter and complete the entire course or just do parts of it. Based in Cooks Hill, NSW, Ninja Parc is a new venture by the Pirlo Group. With a new site due to open in early 2019 in Victoria, we are excited to recruit excellent, qualified and customer focused team members. We are seeking to recruit Casual Coaches for our Ninja park site in Cooks Hill. 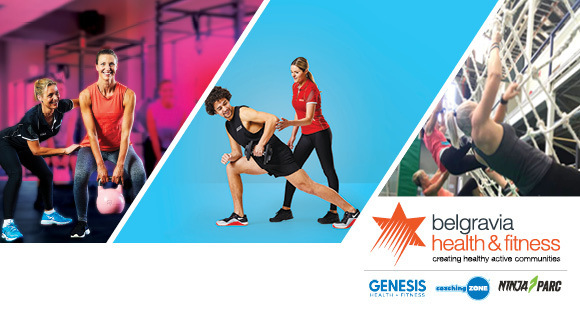 This is a great opportunity for previous or current personal trainers or gymnastic coaches to bring your experience and knowledge in exercise and customer service to this role. Your background in personal training or gymnastics coaching, rock climbing, parkour or general coaching experience coupled with a good understanding of body weight fitness and experience in group training will make you an ideal candidate to succeed and grow within our centre. You will have a naturally friendly nature which will be a great asset as you interact with our patrons. Due to the nature of our business we would require you to be available Monday mornings and all-day Wednesday to Fridays. If you are a passionate person who realises the tremendous opportunity that this role offers and want to utilise your skills and passion in the sport & leisure industry, we want to hear from you!